Happy Thanksgiving! 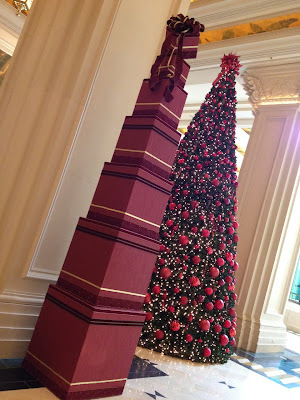 I hope everyone is having a wonderful holiday. I, of course, am working, trying to get several sets done for several projects that shoot next week. One of the productions sent over some turkey, stuffing, and pumpkin pie to the stage where I am building, so my small band of die hard crew members got a taste of the holiday! I'm sure many of you reading this couldn't even imagine working on Thanksgiving, but I guess I'm used to it. My first Thanksgiving in Hollywood was spent alone on a sound stage finishing up space helmets for an alien movie. I've worked them all: Christmas, New Years, Valentine's Day, the film industry has no sympathy when it comes to deadlines. But the reality is, I'm thankful for the work. I am grateful for every opportunity I get to be able to do what I do best, which is make things. On this day of thanks, I look back at all the amazing projects I've gotten to work on this year, and I am inspired to branch out even more next year. It will be exciting to see what comes my way in the future. This year has been pretty rangy as it is. I started 2011 by building a fantasy world for Felicia Day's Dragon Age: Redemption. 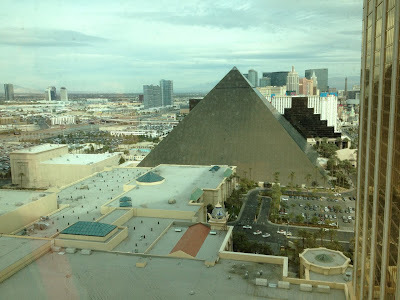 I know I owe one final blog on that, but I wanted to tell you about my most recent adventure. 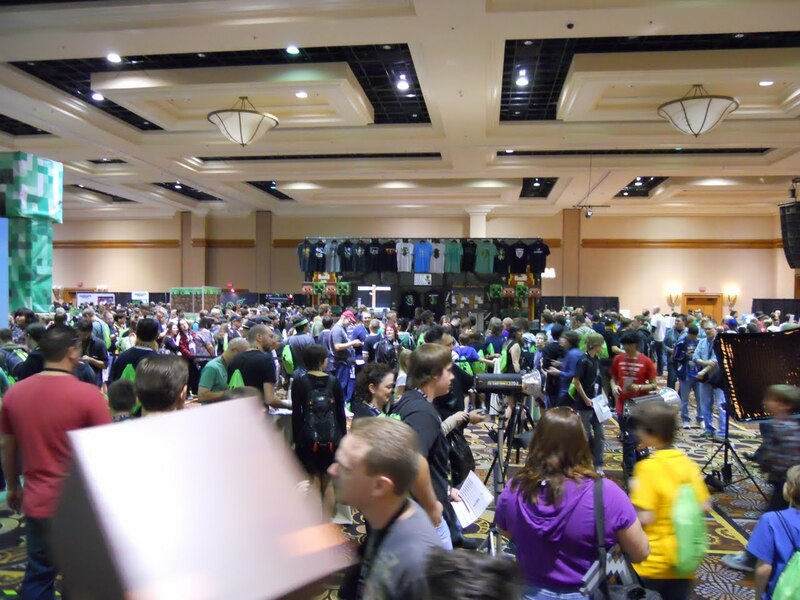 Having just created a fake convention for The Guild season 5, I thought it was a fitting challenge to help create a REAL convention for the official release of one of the internet's most popular games. 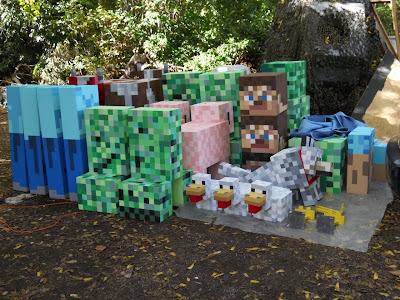 If you are a fan of online gaming, pop culture, or internet sensations, you have had to have heard about Minecraft by now. Created by one man, Notch, working in his garage, the game became an international phenomenon, pulling in millions of players before it was even out of beta. 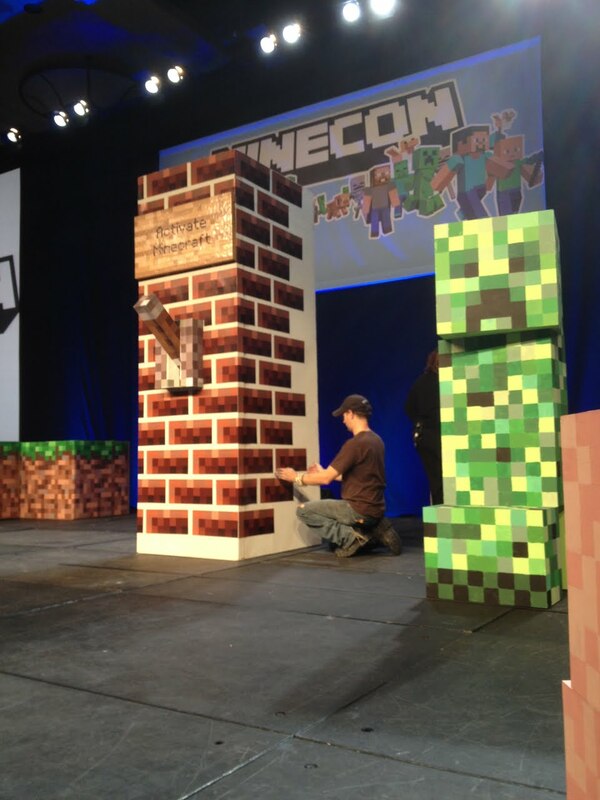 The time had come to officially launch the game, and the game developing company, Mojang, decided to do it in style. They created MINECON, a Las Vegas based convention solely dedicated to the world of MineCraft. 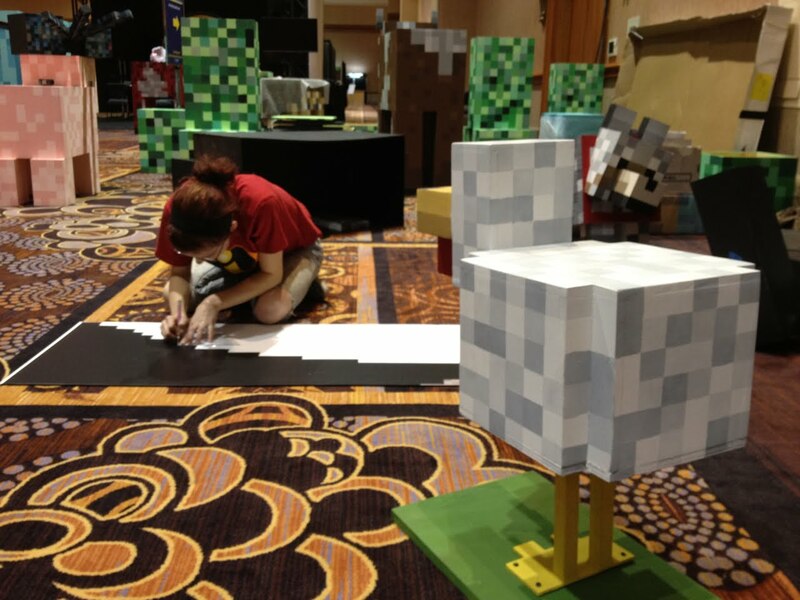 I'm not sure how long the plans for the show were in motion, but somewhere along the way it was decided that elements of the game should be brought to life for the attendees to interact with. My friends Vu Bui and @minecraftchick called me to see what I could create. The biggest challenge was that by the time I came on board, there was less than 2 weeks till the show! 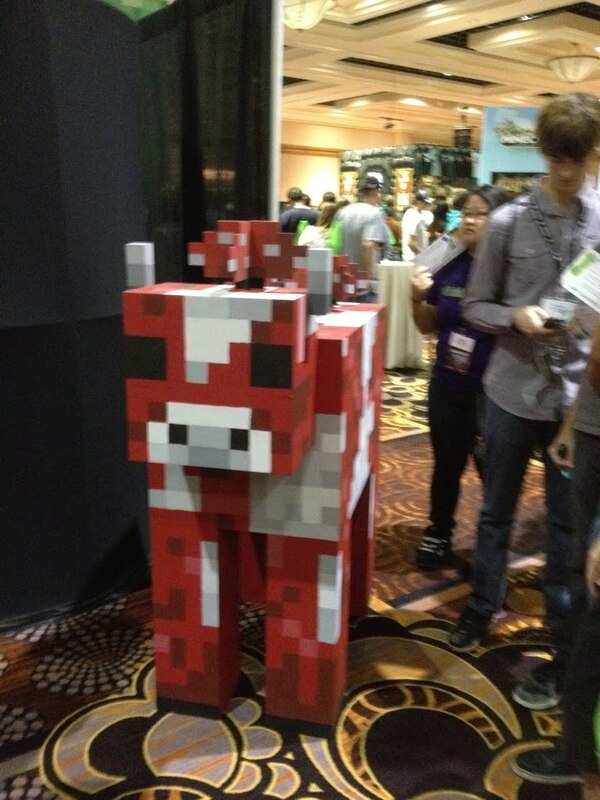 Photo 1: MineCraft is a low poly, three dimensional world. At first glance, the characters and settings seem almost 8-bit in simplicity. 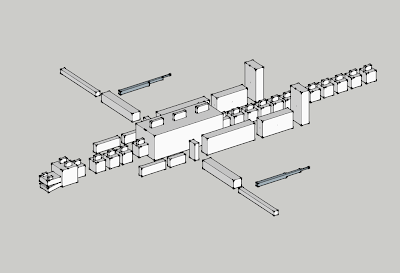 But having to analyze them for a physical build, I realized that they are much more complicated than that. 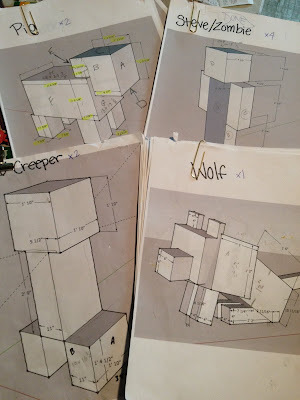 The polygons can intersect and move on any axis, which added a level of intricacy to building these things full size. Photo 2: Another aspect was the coloration. Again, at first glance, these textures are simple patterns of basic color palettes. I decided right away that my versions should be hand painted rather than printed and mounted, and this decision would set the tone for what was going to be a week of hell! 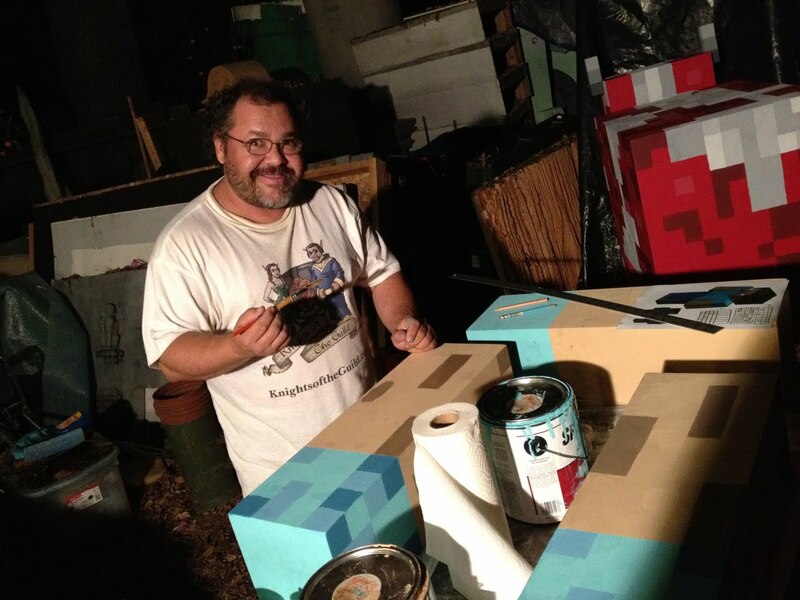 Photo 3: Even the simplest characters would require endless amounts of mapping to get the paint just right. Photo 4: We started by breaking every character down to its most basic forms, and figuring out all the proportions and measurements. My Art department coordinator, Danielle, created sketch up models of everything for us to work off of. 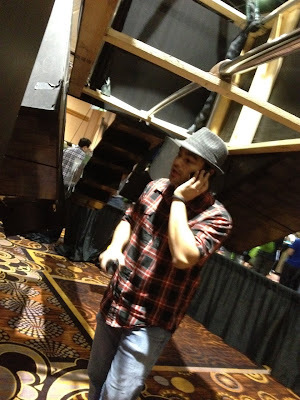 Photo 6: Vu Bui really wanted to make the con an interactive experience for fans, so he devised a photo booth were people could get a shot of themselves inside the game. 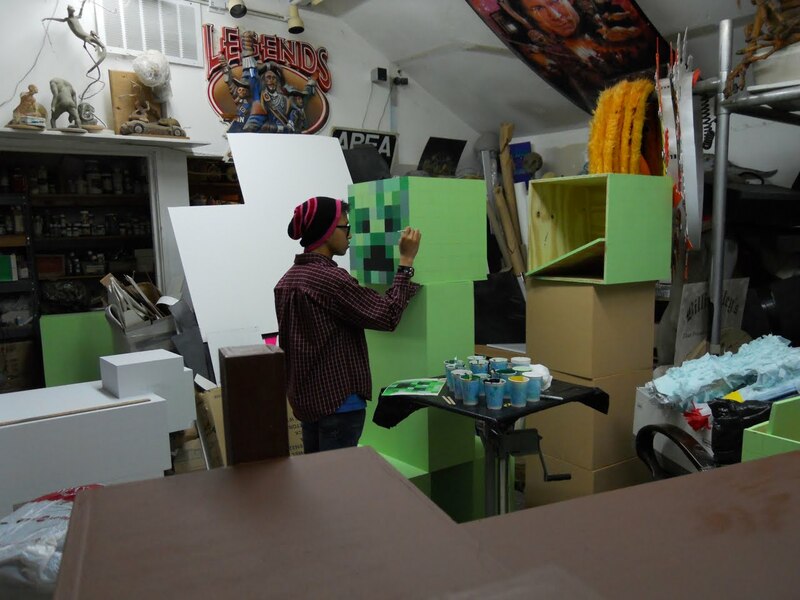 He wanted a physical build rather than a greenscreen composite. He built this version of the booth IN Minecraft to show me how he wanted it. 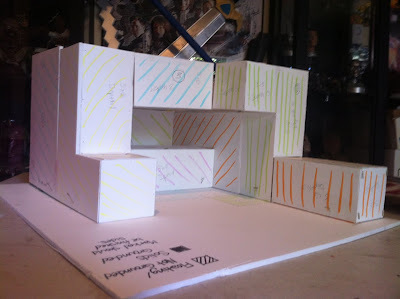 Photo 7: Danielle made this foam core model of the booth based on my design for construction. 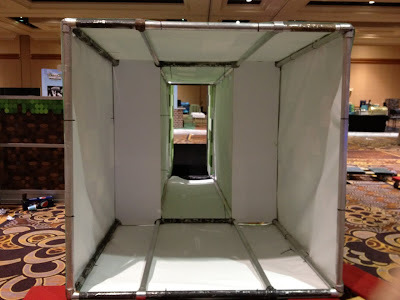 Once again, the block nature of the booth gives the illusion of simplicity, but a lot of engineering needed to go into the building so that it could break down, fit in a truck, get to Vegas, and re-assemble quickly. 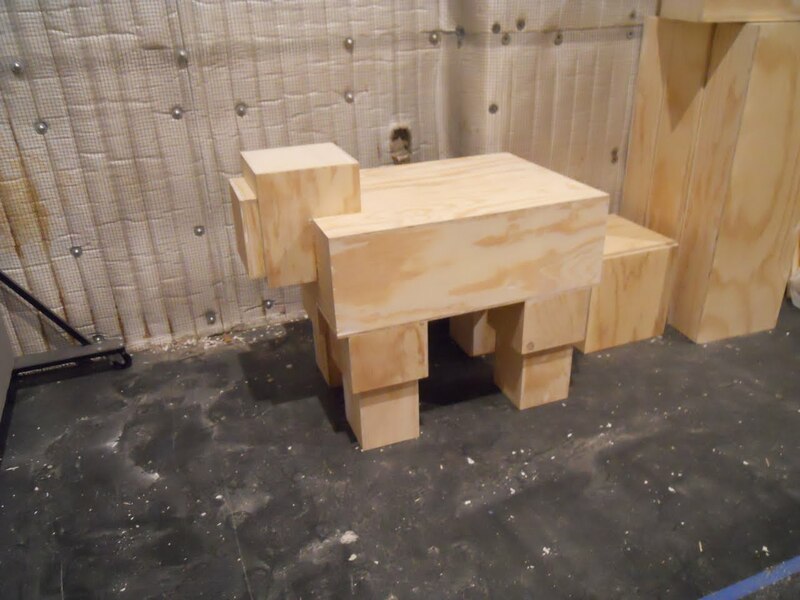 Photo 8: In the meantime, animals were being built from 1/2 inch cabinet grade plywood. Here, a few wooden chickens share a pizza. Photo 9: Construction is complete on a wooden sheep. 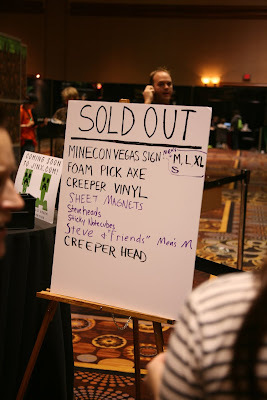 Photo 10: A collection of creepers are base coated green. Photo 11: The pixel pigs before they are pixelated! Photo 12: One of the longest parts of the process was griding out all of the animals. 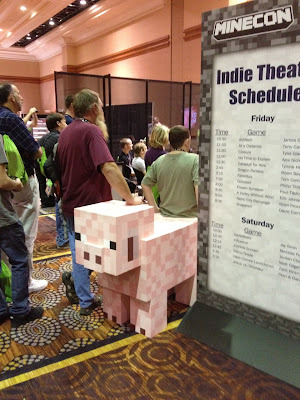 Minecraft seems to have a unit of measurement, but not necessarily a standard increment. We scaled every character out to the best of our ability based on the reference we had, but it seemed like every character had different sized pixels. 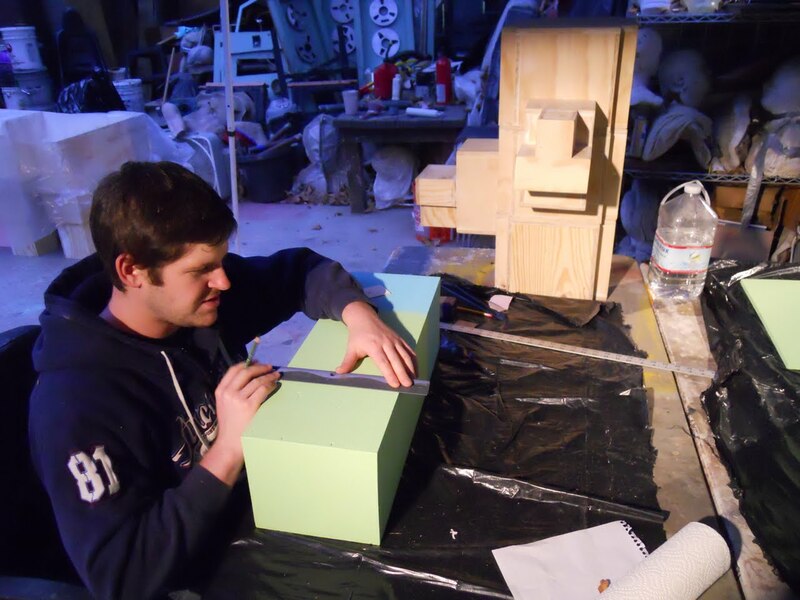 Here, Jordan Dodge grids out a zombie arm. Photo 13: I chose to grid each character out using a colored pencil that was just darker than their base color, so it would be acceptable to see the grid even if pixels were not painted. 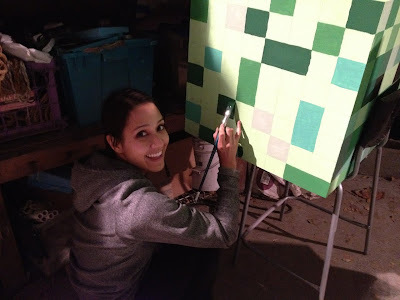 Once that was complete, the individual squares were colored in by hand. Here, Gino paints a creeper face. Photo 14: Red Bull. We needed to drink a lot of it. All-nighters were in the cards. 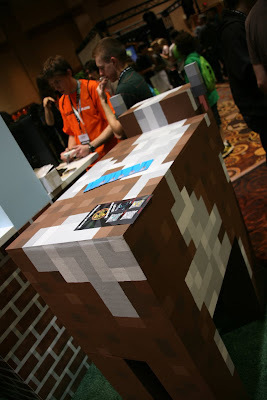 Photo 15: Mojang was nice enough to send us the raw texture maps for all of the characters. 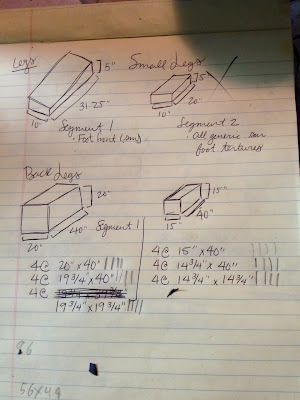 I was excited, because I thought we could just print them out and use them as guides. 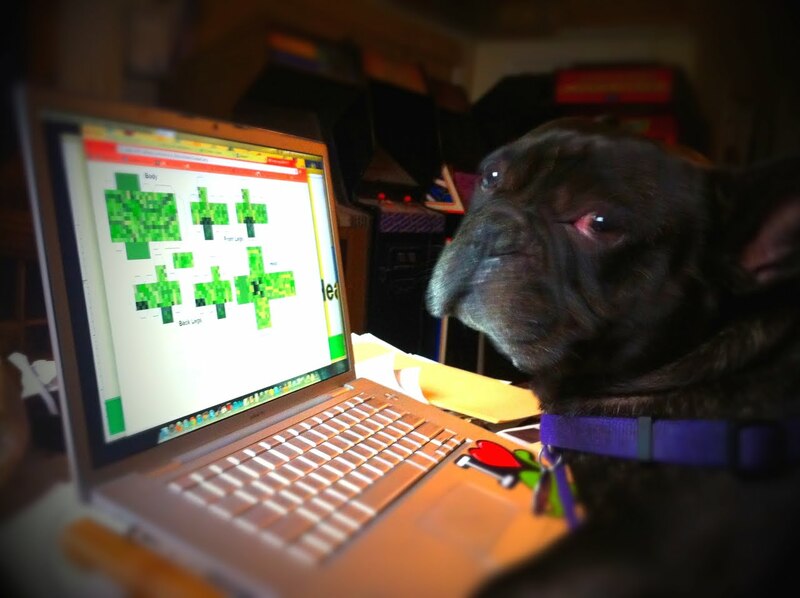 But I guess the game needs very little info to wrap the polys, cause the maps we got were like 123k each! 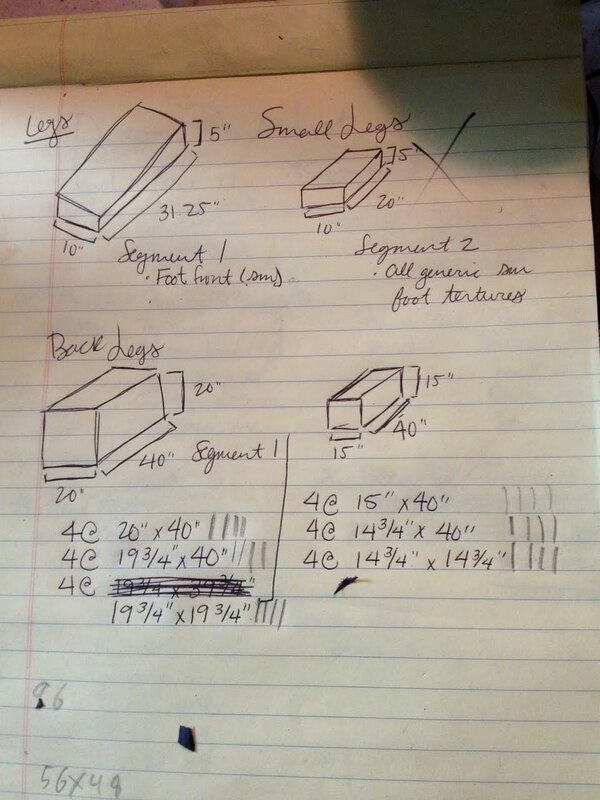 The image above is actual size to what we worked off of. 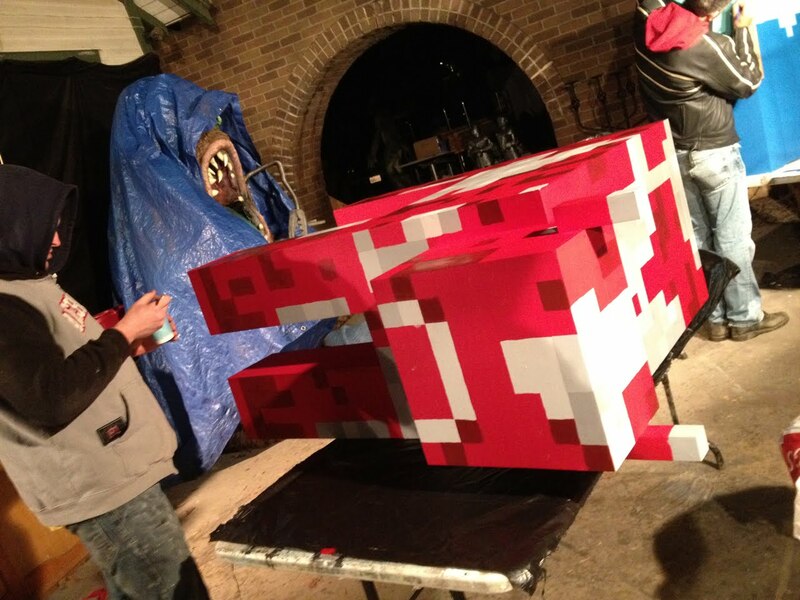 Photo 16: It took a while to convert that thumbnail to this full size Mooshroom. Photo 17: The tamed wolf was the most intricate builds. Here, he is base coated and waiting for the next step. Photo 18: We mixed hundreds of colors for this job. 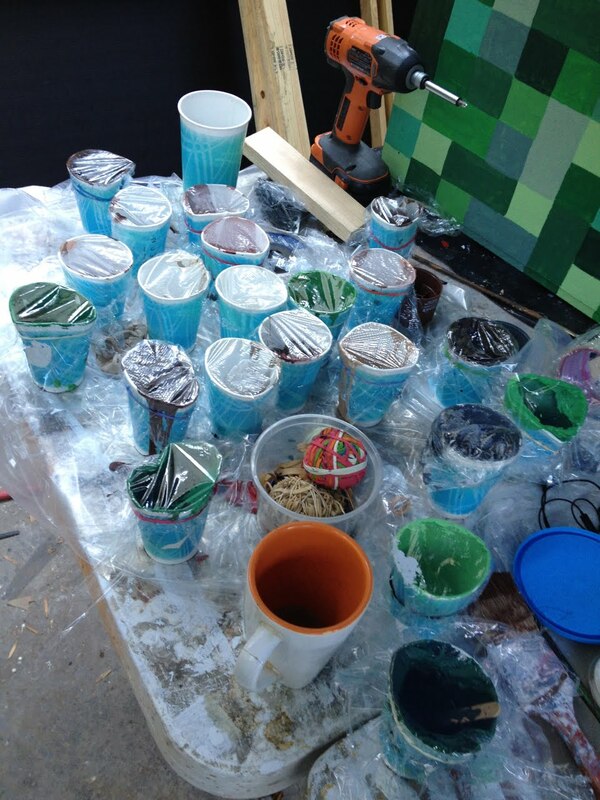 Some characters only had a few pixels of a color, so we worked in small cups to save paint. 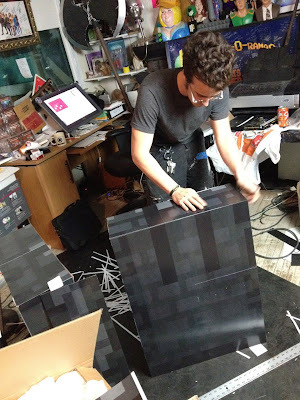 Photo 19: It took FOREVER to paint all of those pixels. As the clock ticked down, I needed to call in reinforcements. In case of emergency, call in a unicorn! 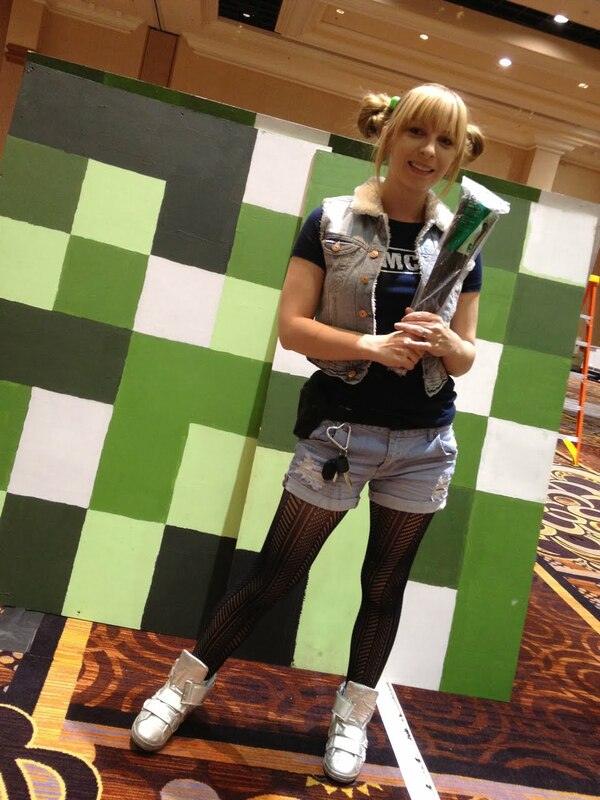 Milynn Sarley of Team Unicorn dropped by to paint some creepers. Photo 20: And Kenny of Knights of the Guild fame stood at this table painting Steve arms from dawn till dusk! Photo 21: While mad painting was going on outside, I built some inhabitants for the photo booth. 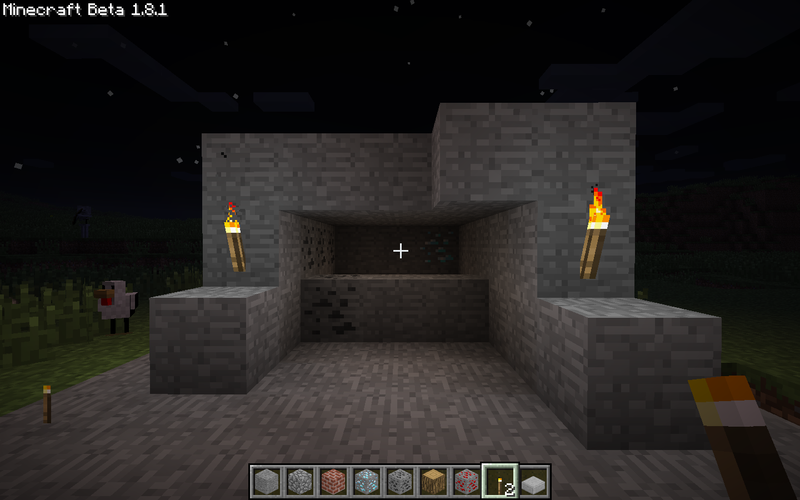 The first of which being a cave spider. 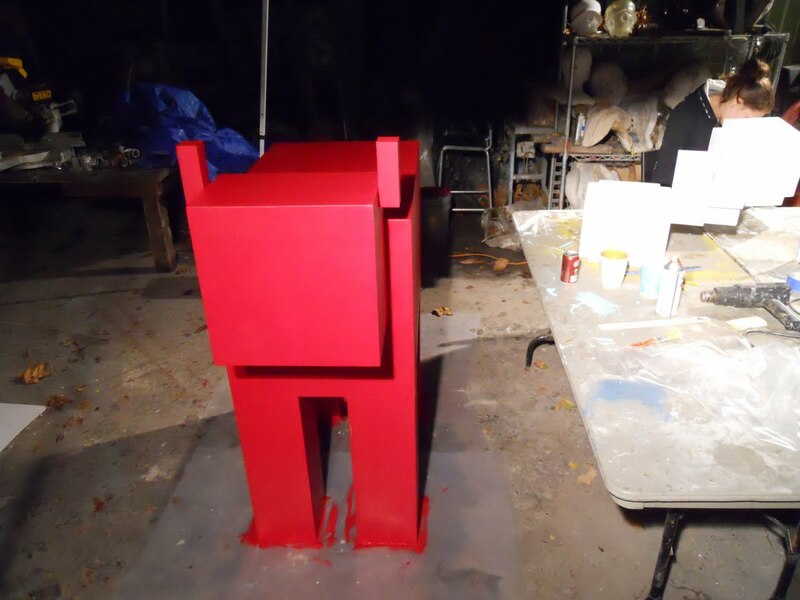 He is made from a series of sintra boxes, and wrapped in printouts Red 5 created from scratch based on the tiny texture maps. 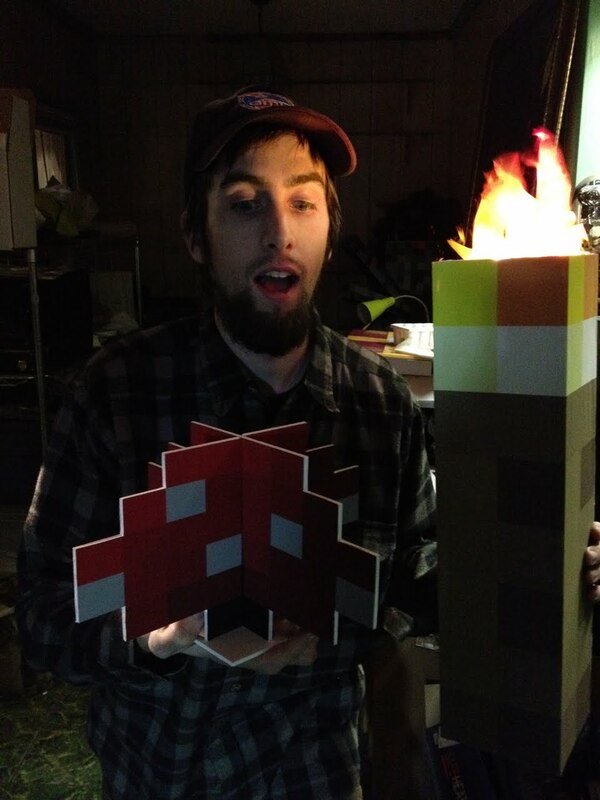 Photo 22: Amish made the torches. He used them to discover the mooshroom's shrooms. His productivity greatly declined after this discovery! Photo 24: How could I not be!?! 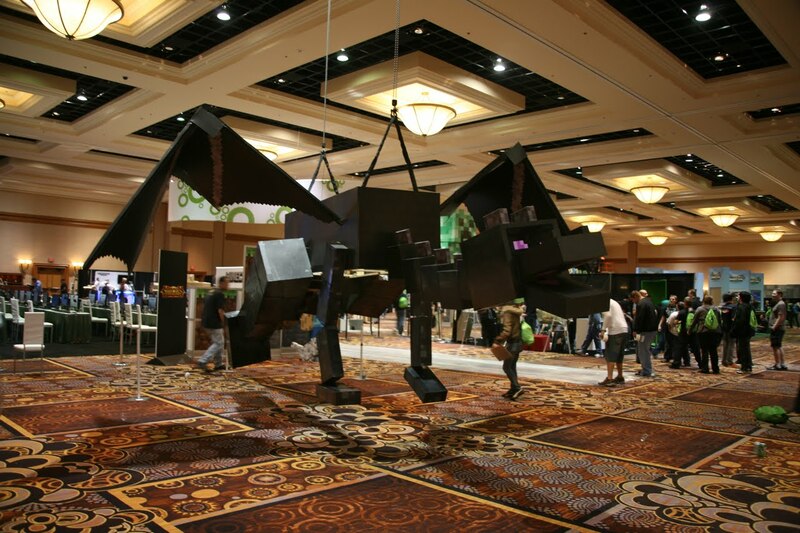 Who doesn't want to build a dragon? I guess I should have said no, considering that I got that email about 5 days before the show, and we already had over 30 items on our plate, none of which were near completion. But, c'mon, it was a DRAGON! To make things harder on myself, I chose to build it full size. We played with the scale of this sketch up model, but the dragon doesn't have much volume. Shrinking it down made it feel unimportant. So I went for it. 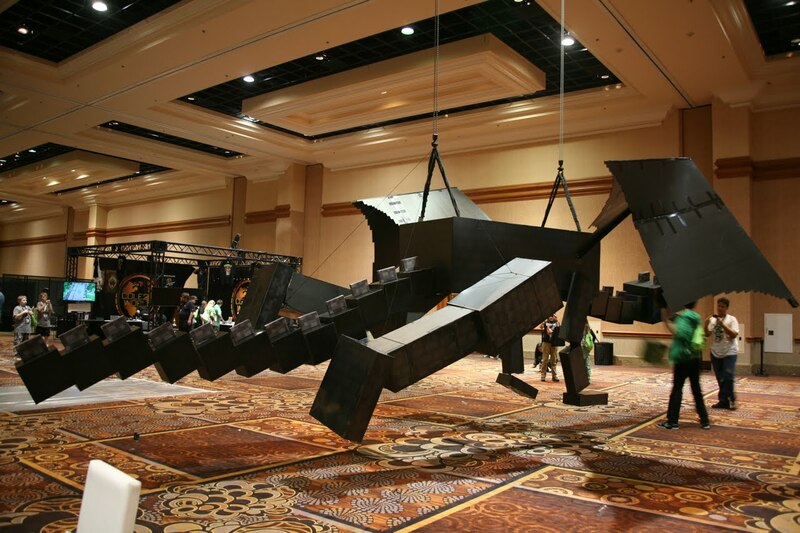 All 40 feet, with a 36 foot wingspan. 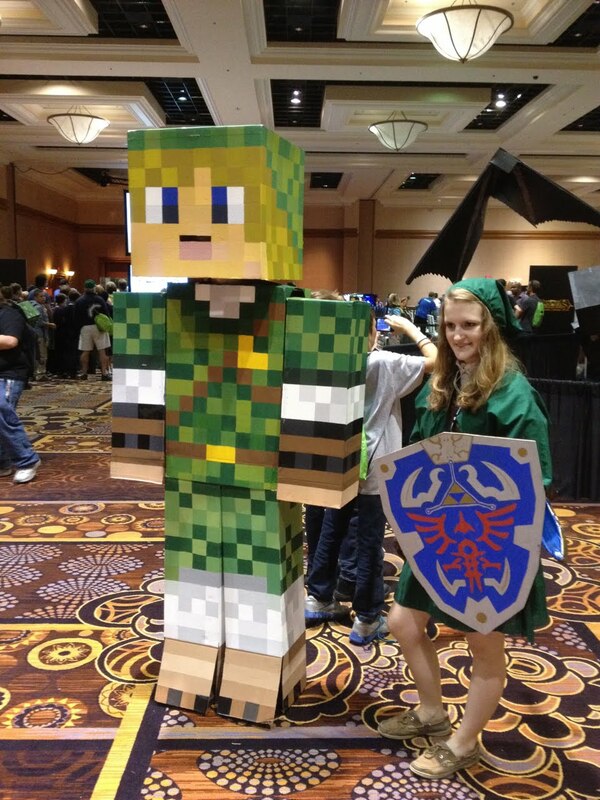 Photo 25: The size of the thing didn't really hit me until I got to the legs, which ended up being taller that I am! Photo 26: Here, you can see that the beginning stages of the dragon's head are almost as large as my arcade cabinets! Photo 27: The dragon was made entirely out of sintra boxes. Here, Anthony covers the feet boxes in printed textures Red 5 made to match the dragon's skin. Photo 28: Finally the time came to pack up for Vegas. Here, our week and a half of work waits in the driveway. 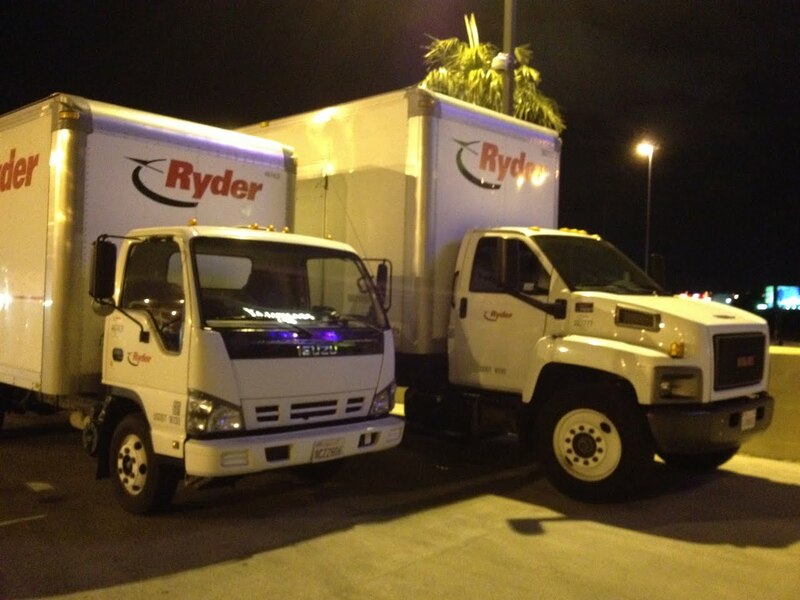 Photo 29: Between the photobooth, the animals, the dragon, and all our equipment, we actually needed 2 trucks for the trip to Vegas. A 16 foot, and a monster 24! 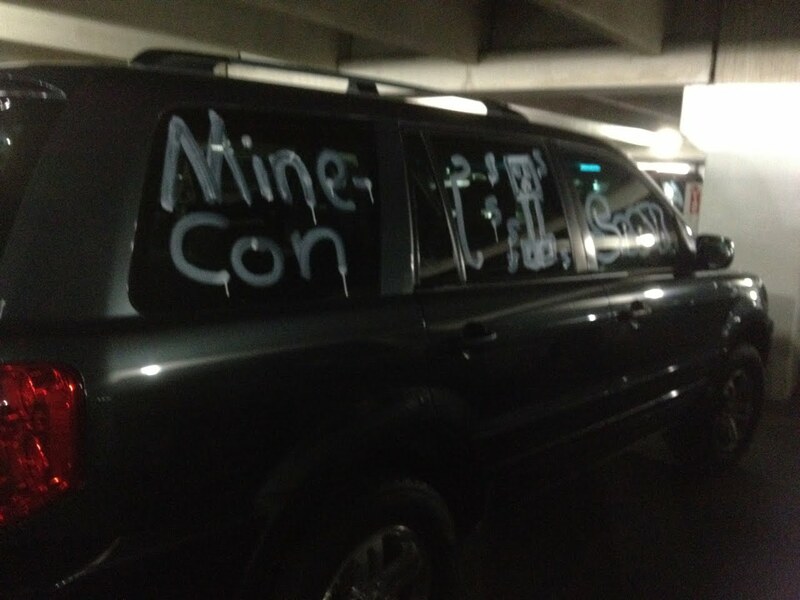 Photo 30: We arrived in Vegas to find signs of exactly how excited people were about Minecon. Photo 31: We also realized that there were many things we forgot in the mad rush to get there. Cosplay Queen Ginny McQueen came to the rescue with a late night pizza and Home Depot run! 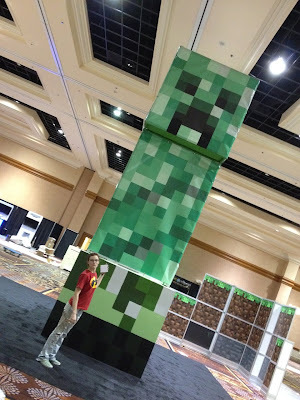 She got us zip ties so we could finished hanging the banner sides of the 20 foot creeper. 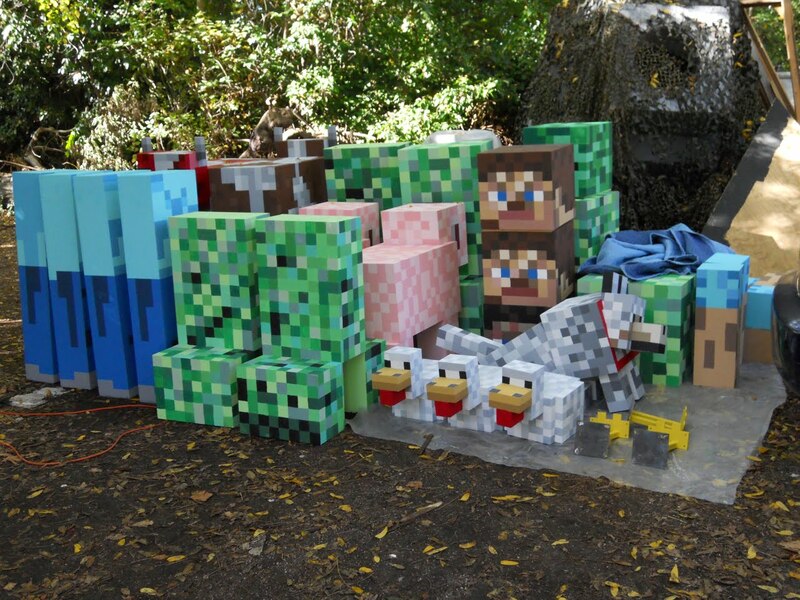 Photo 34: Red 5 is watched by a chicken as she cuts out the Enderdragon's wings. Photo 35: Mazin Dajani and Jordan begin assembling the dragon. 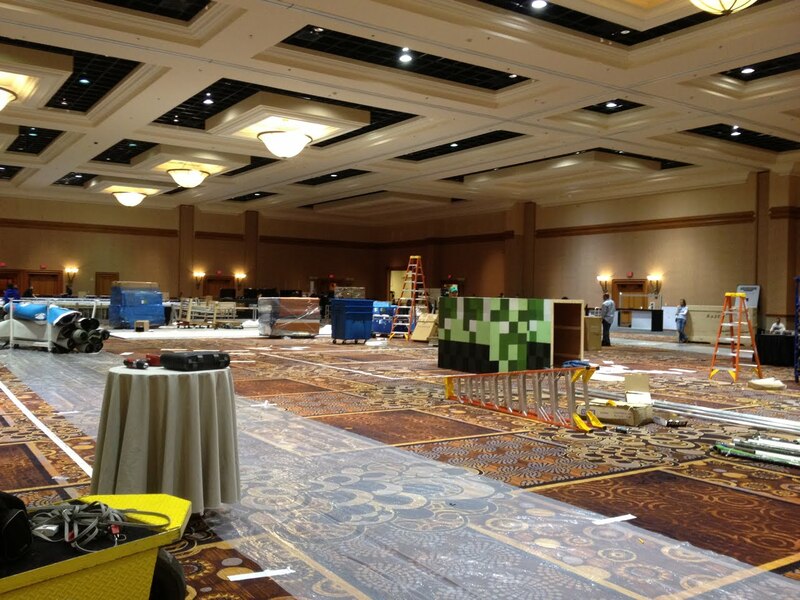 Photo 36: All of the dragon's parts were put together for the first time on the venue floor! Photo 37: Red 5 stands in front of our 20 foot tall creeper. Photo 38: The biggest hurdle for me was the photobooth. I had so much going on with the animals and dragon that I hired a separate team to construct and paint the booth. 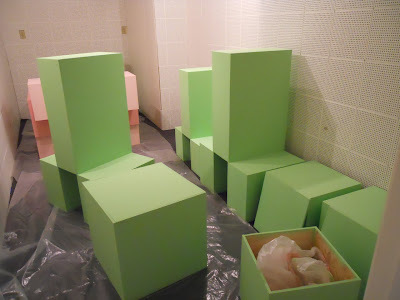 They got it built pretty quick, but the painters decided to quit before they even started. 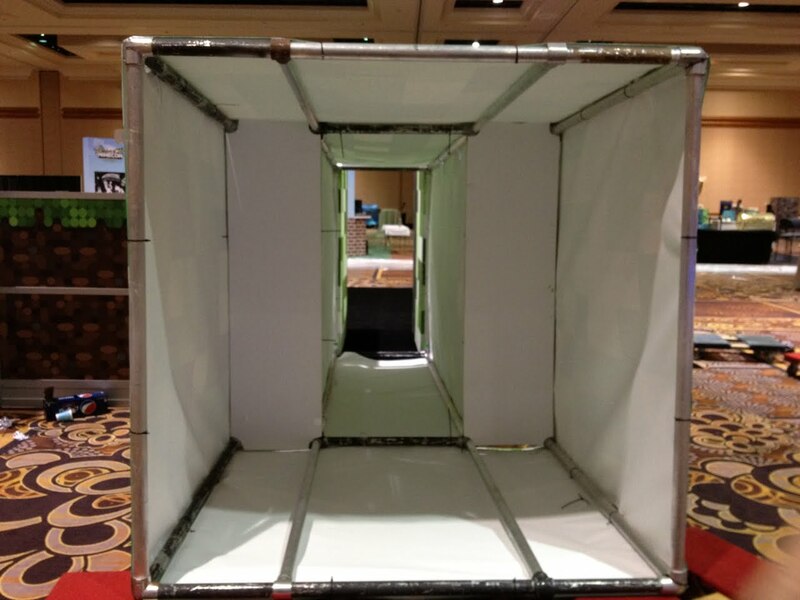 I hired another team, and they walked out the day before the booth shipped, saying it was "too complicated!" I had no choice but to get the thing in the truck and take it to Vegas unfinished. 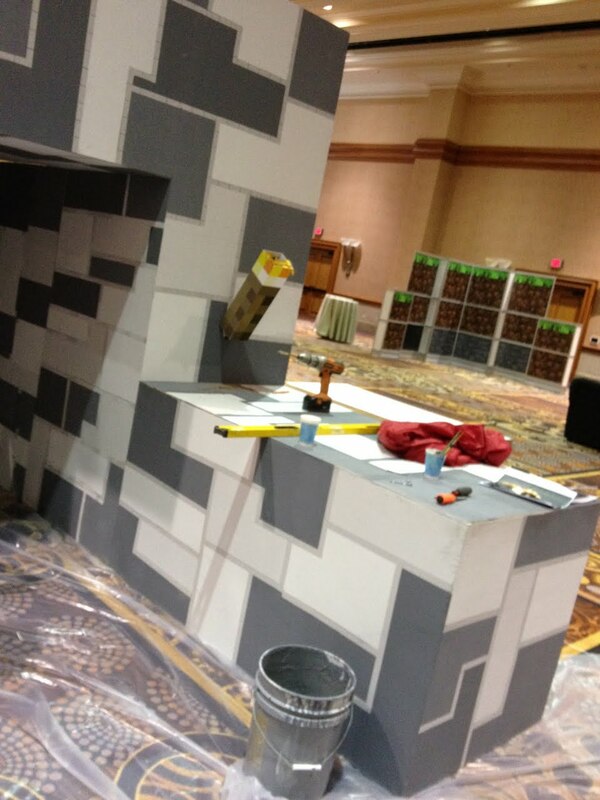 Photo 39: My goal was to get everything set up, and then try to re-paint the booth myself on site. 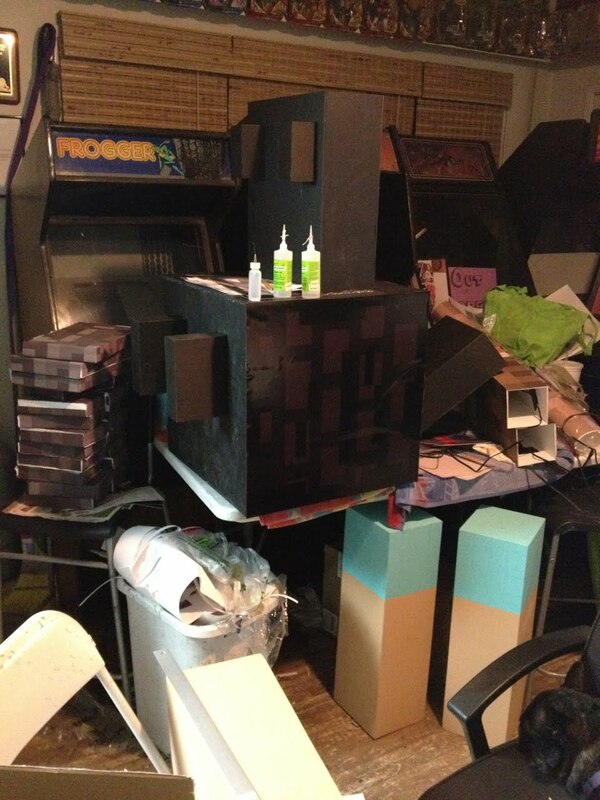 of course, it took way longer than expected to get the rest of the stuff in place. I didn't even get to start on the booth until about 4am, and that was after having already been up for 48 hrs. With the show opening in a few hours, I attempted to do a wash over the whole booth to get the color values more like what you see in the game. It was not anything like what I hoped it would be, but fans seemed to enjoy it none the less, and it looked like an organic, "real world" version of the game in the photos. 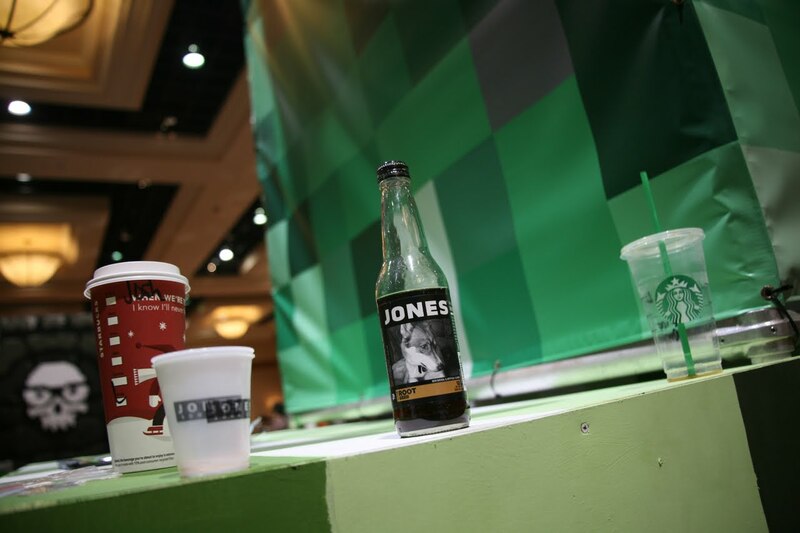 Photo 40: When the show opened, the guys from Jones Soda gave me an official Minecon bottle of Creme Soda, and it was the greatest thing in the world. It kept me going for the next few hours. 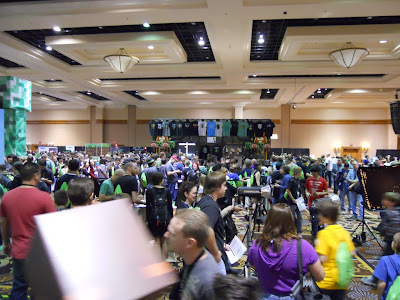 Photo 41: Thousands of people showed up for Minecon. Photo 42: It was good to see that we weren't the only ones busy building stuff for Minecon. Photo 43: Look! 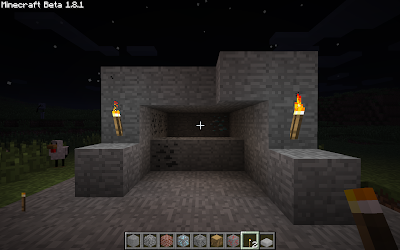 A Minecraft version of Legend of Neil!!! Photo 44: Our animals were very interactive. 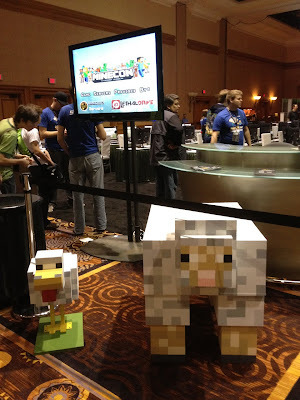 Photo 45: Sheep and chicken greet people in line for game demos. Photo 46: It only took about 3 hours before someone stole a shroom off the Mooshroom's back! 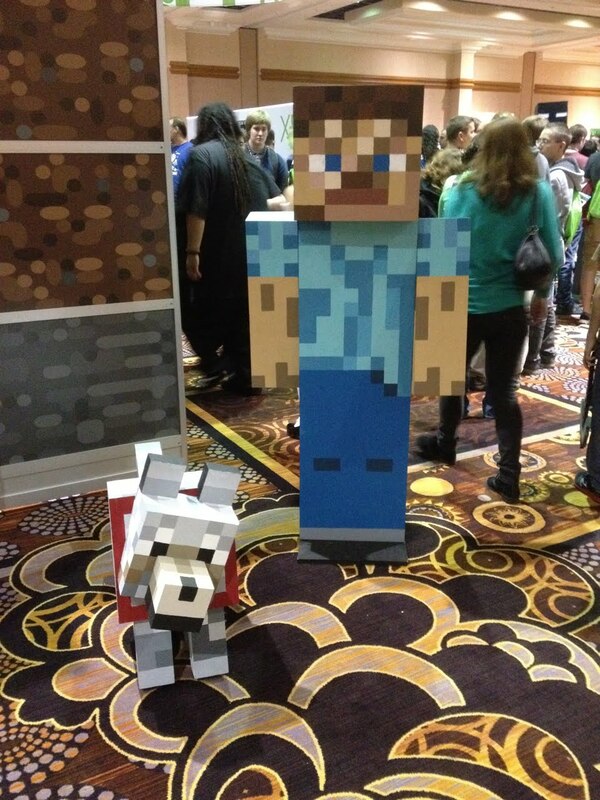 Photo 48: Steve and his tamed wolf waiting for a photo op. Photo 49: The finished cow. 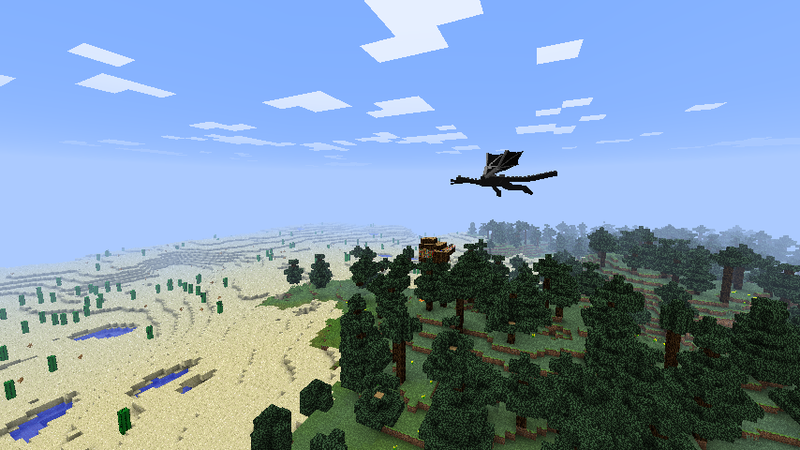 Photo 50: The Enderdragon finally takes flight! Photo 51: Trailing 12 feet of tail! Photo 52: The Enderdragon was so big, Vu Bui used it's belly as an office! 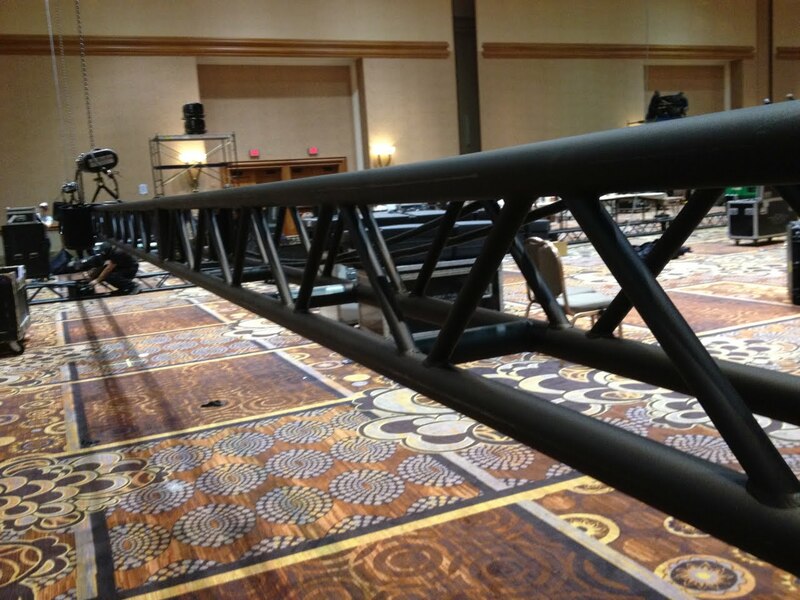 Photo 53: At 40 feet, the dragon was as long as the lighting truss for the main stage! 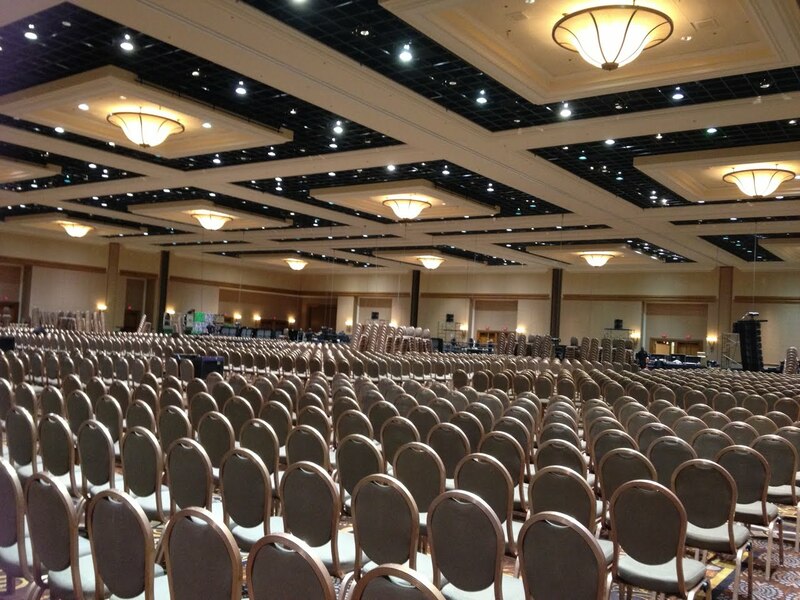 Photo 54: Thousands of seats were set up for the opening ceremony. In the far distance, you can see my grass blocks. 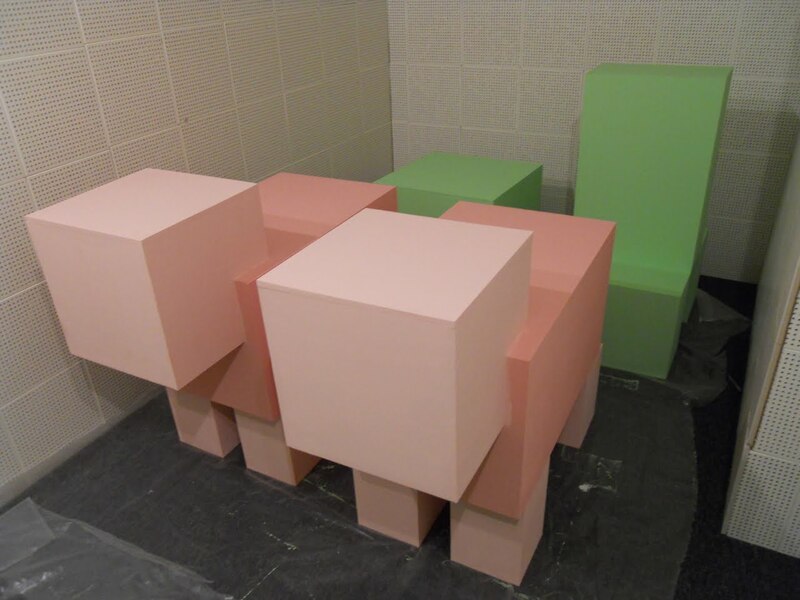 Photo 55: For easy of transportation, assembly, and cost, I made the stage blocks by covering 3x3 feet cardboard boxes in printed graphics. Again, Red 5 made the graphics by painstakingly recreating the tiny texture maps as hi-rez files. 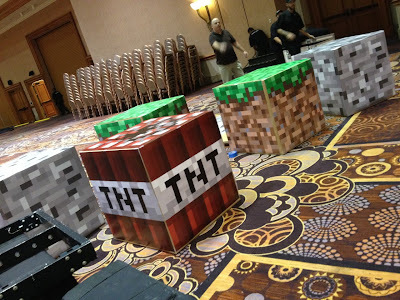 Photo 56: My carpenters actually FORGOT to build the "Activate Minecraft" lever block tower, but thought they did and said it was on the truck, so I had to scramble at 9am Friday to have something workable on stage by 10am for rehearsal. 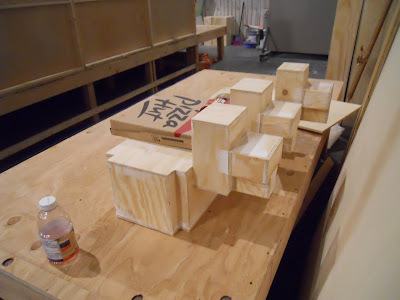 My lead carpenter and good friend Ronnie Wilson bailed me out by helping built this prop from scraps in the truck and some styrofoam. Luckily, Red 5 had pre-printed the brick graphics. 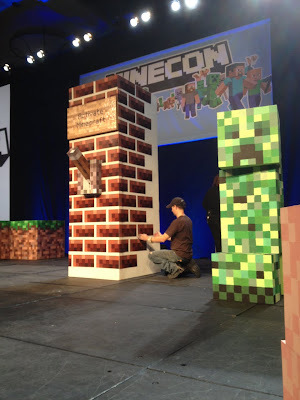 I showed Notch how to work the lever, and when he went to pull it during rehersal, everyone in attendance screamed, "No, not yet!" as if my styrofoam switch would actually activate Minecraft!!! 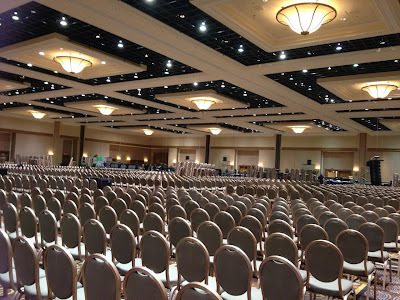 Photo 57: Everyone liked the stage dressing so much they left it up for the rest of the panels, even though it was only meant for the opening ceremony. Photo 60: My buddies from Jinx had a line that cut across the whole convention. People were going crazy for their Minecraft collection. 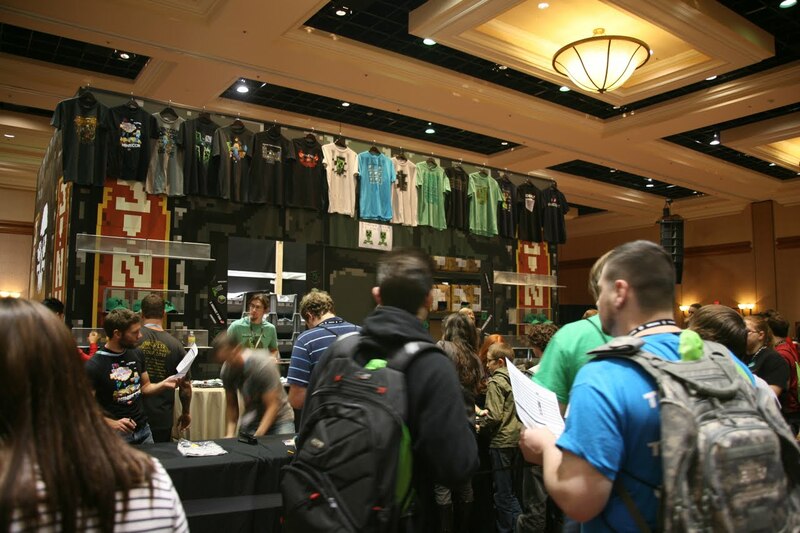 Photo 61: They were sold out of stuff before the first day was even half way over! 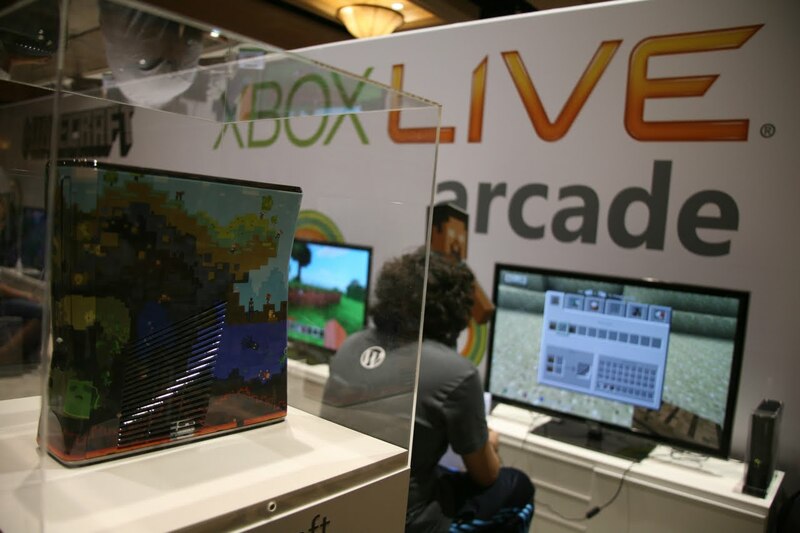 Photo 63: Xbox had some pretty awesome stuff up for grabs, too. 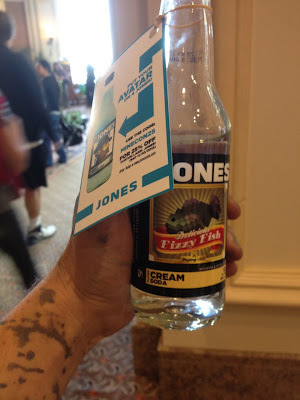 Photo 64: I missed the closing ceremonies cause I had to break all our stuff down, but I heard Lydia gave me a huge thank you that got massive applause. 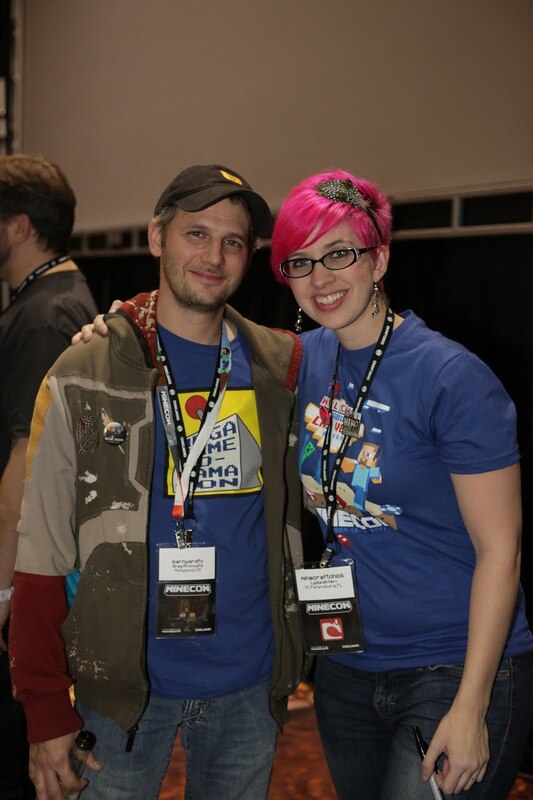 The reaction of both the game creators and the fans really made all the work worth while. 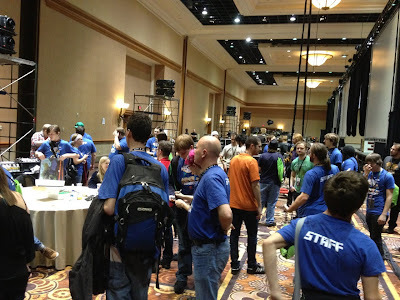 I caught the tail end of the back stage celebration, and I was introduced to all the staff. 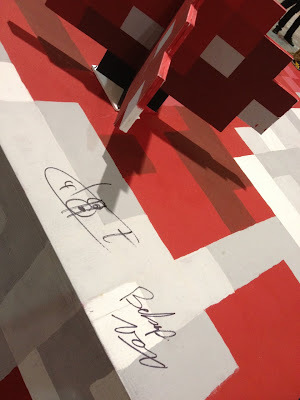 The Mojang guys were so nice, and they were all very excited about my work and thanked me for participating in the con. They said having all of the characters there elevated the experience. I talked to Notch about getting some photos of us together with the animals, and he jumped up to do it right away. I didn't want to take him away from group, so I suggested we do it at the after party, since they were taking animals over there to be on stage with DeadMau5. 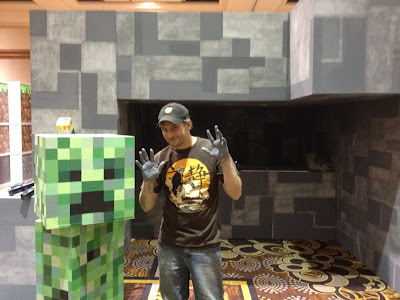 He agreed that the stage setting would make for better photos. 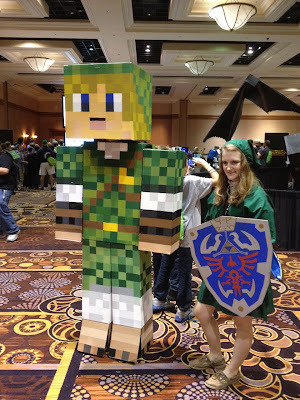 Photo 65: Here I am back stage with Lydia. She was so busy during the show that I barely got to see her. 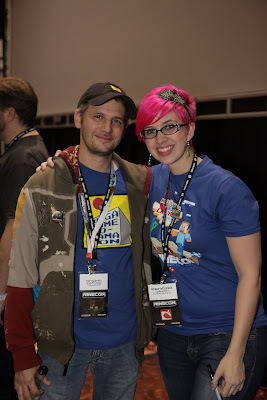 She and her team did an amazing job, and I have to thank her and Vu so much for letting me be involved. 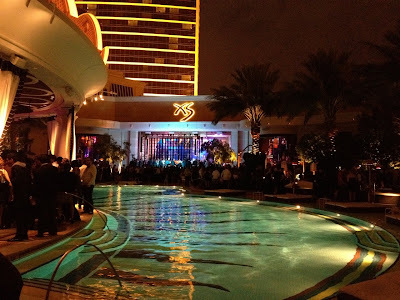 Photo 66: After the breaking down the con, everyone went to XS for the party and concert. 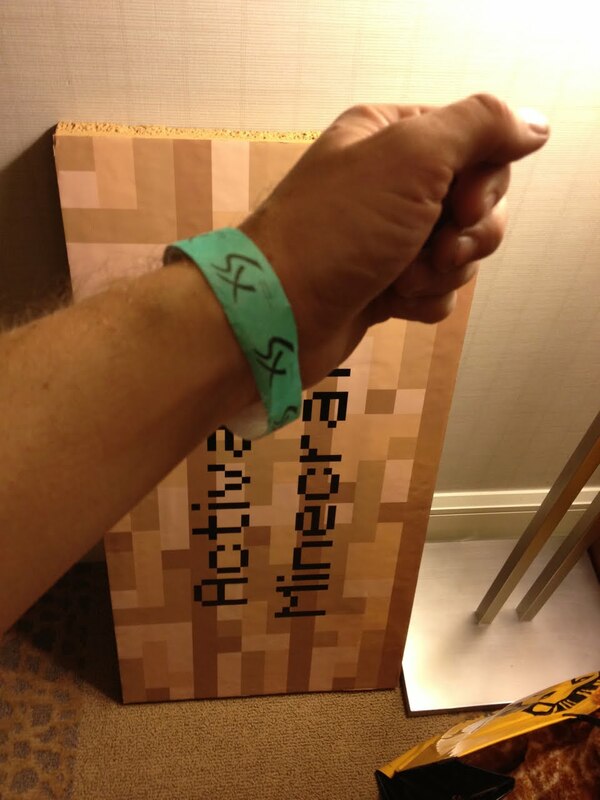 Photo 67: Even though I had a VIP bracelet, they wouldn't let me in! I guess the VIP area was over capacity, and no matter who tried to get me in there, the club wouldn't let up. I was mostly bummed because I wanted to give Notch the Activate Minecraft sign and say goodbye to everyone before I left Vegas. It was pretty disappointing, but on the bright side, I finally got to go to sleep! 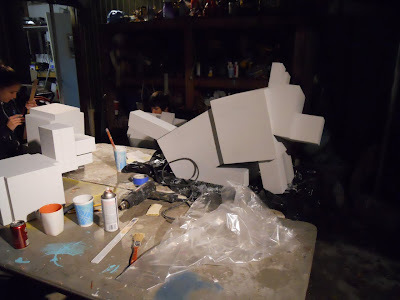 Photo 68: I was told the next day that some of my props had taken damage. 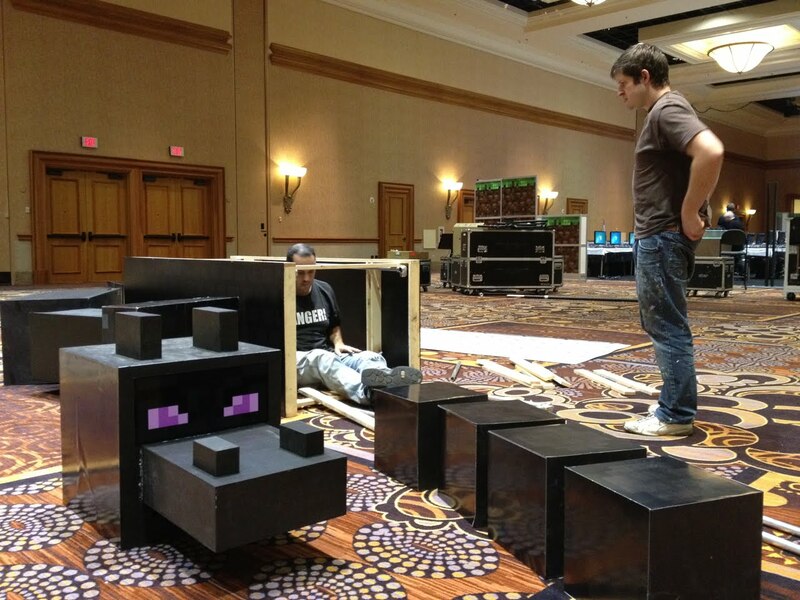 The chicken that was put on stage with Deadmau5 had been destroyed. At first, I was outraged. 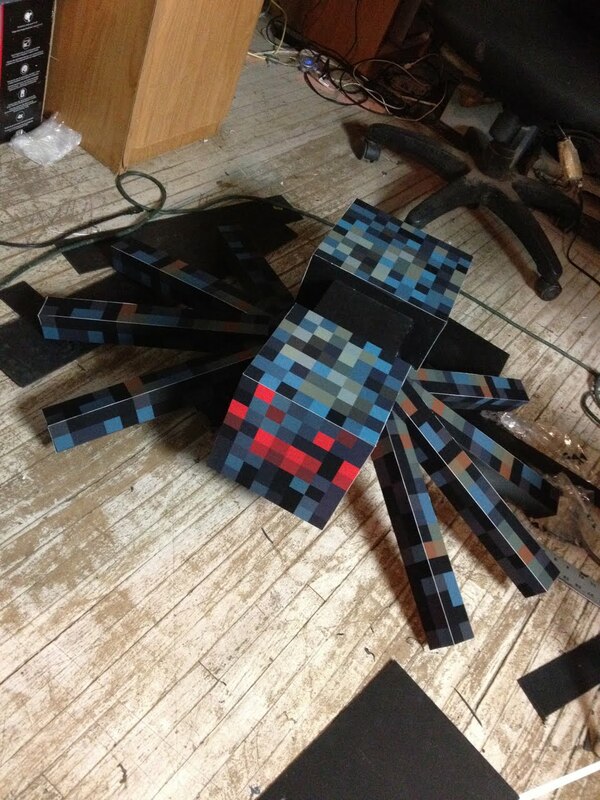 But them I learned that Deadmau5 had given Notch a Minecraft sword and ordered him to slay the chicken! If you must have a piece of art you made defiled, there truly is no better way go about it than performance art starring the creator of the character himself! I only wish I could have seen it in person!!! 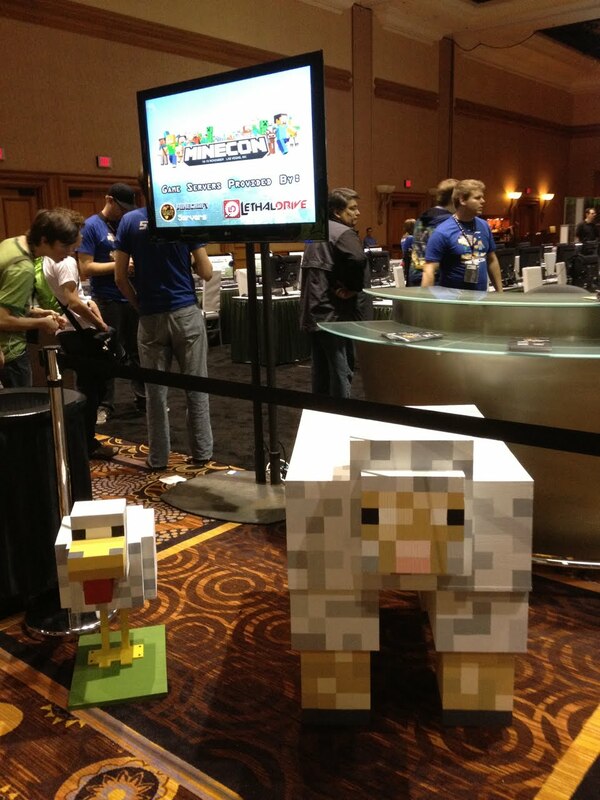 So that was my adventure into the land of virtual Legos! 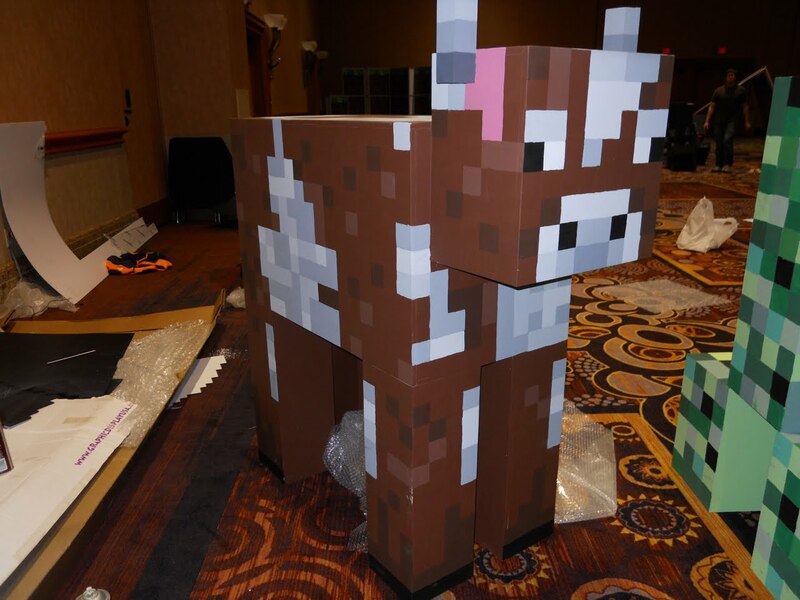 If you attended Minecon, I hope you enjoyed my work. 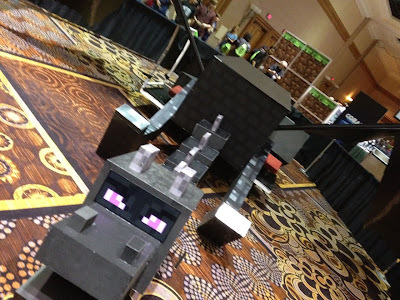 If you didn't, but are a fan of Minecraft, I hope this blog gave you a tour of the experience! 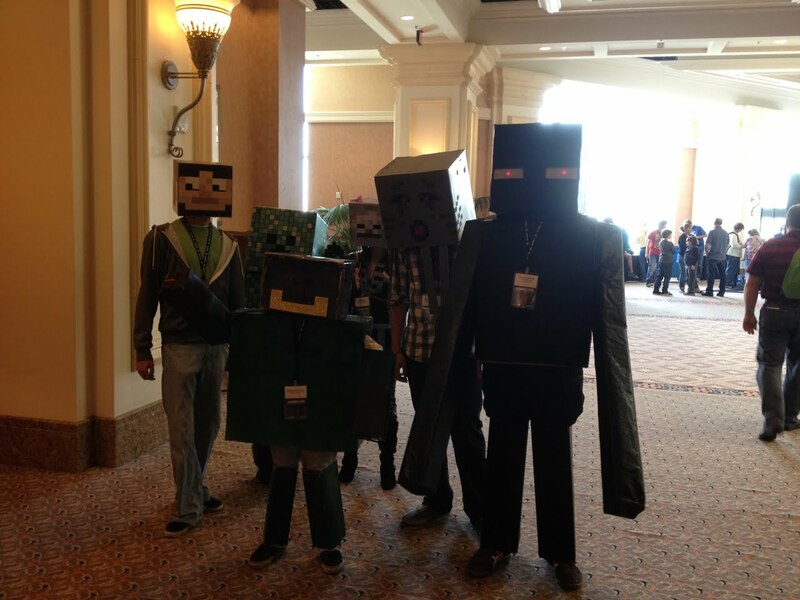 And if you don't know what Minecraft is, go check it out! You'll be hooked for hours! It's a perfect way to spend those holiday vacation hours!